Keep your next party from getting out of hand when you arrive in this authentic looking plus size cop costume. This uniform will turn you into one of your city's finest! You've dreamed of being a policeman since you were a kid, and while you may not have quite followed through with your dream, you can still pretend for a night. 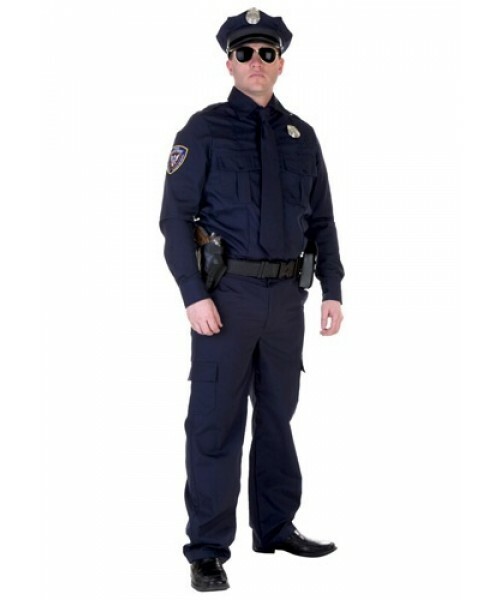 All you need is this plus size cop outfit and the overwhelming need to uphold the law. It also gives you a reason to carry around a set of handcuffs and a baton. Really, do you need another reason to wear this to the party?